Q&A | Lansdale Warehouse Co. Inc. Efficient warehousing is an integral component of the supply chain. New technologies and material handling procedures have reduced supply chain costs. Lighting was long considered an area in which costs were difficult to rein in. Proper warehouse lighting is important to maintain a safe and efficient workplace. Light is needed in a warehouse to help in identifying workers and goods alike, reduce the risk of accidents and help in navigating aisles. The average cost of lighting a warehouse is approximately $1.00 per square foot per year. With energy efficient LED lights energy consumption can be reduced by 50% – 90%. For a 200,000 sq ft facility lighting costs can fall from $200,000 per year to as low as $50,000 per year. The US Department of Energy (DOE) estimated that Light Emitting Diode based lights can potentially help save 1,488 terawatts of electricity valued at $120 billion between 2010 – 2030. Simultaneously the greenhouse gas emissions will come down by 246 million tons. When choosing the right lighting technology, Lansdale Warehouse considered a number of factors when changing to LED lighting. LED have a long life, each individual LED device can last 10 years of more. Warehouses relying on older technology will need many more fluorescent tubes or metal halide bulbs/ballasts for a single fixture during the same 10 year period. Cost of maintenance is high for this older technology. Lumens per watt is a measure of the energy production efficiency of a lighting device by measuring the light produced by the bulb. It does not consider how much of the light produced by the bulb is wasted. LED light bulbs produce directional light as opposed to other light sources and fewer lumens are needed to illuminate a target area. Warehouses using high power lights in facility can provide the required illumination but will lead to glare making life uncomfortable for workers. By utilizing LED bulbs and tubes, many smaller lights can be placed in a warehouse facility to achieve uniform light distribution and effective control without increased maintenance cost. 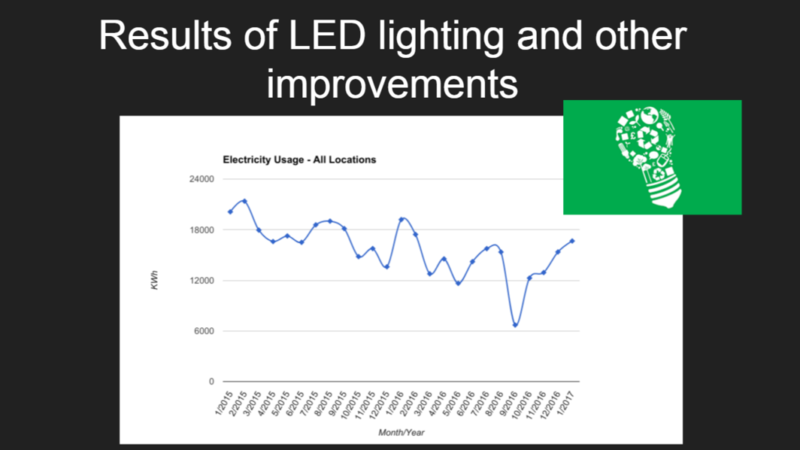 Lansdale Warehouse looked at how well light is maintained over the life of the device. LED based lights maintain the lumen output well over their lifetime. Since each light is a cluster of diodes the possibility of all of them failing simultaneously is remote. Finally, there are no hazardous substances inside LED bulbs, lights use less power up front and generate less heat when used. By replacing our lighting, our facilities are more environmentally friendly. Freight rail serves a unique and integral role in the transportation network. Trains have many advantages over trucks for transporting materials and while most of the benefits are well-known others are less obvious. It’s estimated that on average, trains are about three times more fuel-efficient. It takes trucks about three times more diesel fuel to get from one location to another. Trucks are a much worse contributor to greenhouse gas since a gallon of burned fuel results in nearly twenty pounds of carbon dioxide emitted into the atmosphere. Costs also accrue because roads become congested. It has been stated that economic productivity suffers at least $100 billion a year due to clogged freeways. Reducing the number of trucks on the road would alleviated sources of traffic jams. Highway repairs are largely required because of the presence of trucks that travel them nearly twenty-four hours a day. Approximately 95% of all wear down on roads come from the impact of tractor-trailers; one 80,000 lbs truck creates same damaged as nearly 10,000 cars. Railroad tracks require upkeep, but in contrast to trucks, railroads themselves pay the full cost of maintaining infrastructure. A third of accidents on highways that end in fatalities involve trucks. In 2010 nearly 33,000 people died in a motor vehicle accidents. From 1999-2010 an average of 600 deaths per year were associated with railroad traffic. There are advantages to truck transports. Trains to do not work effectively at small scale and trucks enable faster delivery, but for shippers who have a large volumes of freight that must travel over long distances railroads offer benefits that far outweigh trucks. Lansdale Warehouse has two locations which can facilitate inbound rail shipments. The partnerships that we’ve created with rail carriers over the years allows us to help customers work closely with railroads to expedite shipments and trace hot railcars. Lansdale Warehouse placed a high level of importance on selecting the appropriate pick system, method, equipment and technology that fits and complements our customer’s profile. The ability to quickly and accurately process customers orders is the essence of our business and way an order is picked is directly connected to customer satisfaction. The methods for order picking vary significantly and the level of difficulty in choosing the best method for our customers is based on the information given to us regarding their operation. The characteristics of the product being handled, total number of transactions, total number of orders, picks per order, quantity per pick, picks per SKU, total number of SKUs, value added services such as labeling and weather handling is piece pick, carton pick or full pallet are all factors that help us determine the method for order picking. Many times a combination of picking methods are required. There are three main picking systems, piece picking, case picking and pallet picking. Some of Lansdale Warehouse’s customers require just one while others require two or more in combination. Piece picking (pick-pack) involves picking individual items and placing them into shipping containers (usually cartons). This method is often used for customers with a large number of SKUs and small quantities per pick. Case picking is used for customer that are filling orders without opening cartons. Lansdale Warehouse usually uses case picking for customers with fewer product SKUs as well as higher picks per SKU. Lansdale Warehouse uses pallet picking for customers shipping full pallets out. There are five common picking methods: basic picking, batch picking, multi-order picking, zone picking and wave picking. Regardless of whether you are peice, case or pallet picking, inventory remains in a location and orders are filled one at a time. In piece picking, product is stored in bins or shelving or pallet racks. In case and pallet picking, product is stored in racks or sits on the floor. Basic picking usually involves pickers moving up and down aisles, filling one order at a time. For basic picking, Lansdale Warehouse has the fastest moving SKUs positioned as close as possible to start of pick routes. Batch picking involves combining individual order picks into small groups. Lansdale Warehouse utilizes batch picking for customer requiring piece picking. For batch picking, the warehouse uses a consolidated pick list and places items for different orders in separate totes. Batch picking helps to reduce unnecessary extra footsteps. Zone picking can be used If an operation has lots of SKUs, lots of orders per day, but a low pick to order ratio. Individual picking team members are responsible for an area or zone and only pick items located within their zone. Items are usually moved along from zone to zone on a conveyor. In an operation has a lots of SKUs and a high pick to order ratio, wave picking may be utilized Wave picking is a combination of zone and batch picking. In wave picking, all zones complete picks simultaneously. After pickers have finished pulling the items, they are sorted into individual orders. By using RF, we’ve improved operation and have the ability to easily and immediately track items from when they are received until they are shipped to the customer. We use RF technology through integration of our warehouse management system (WMS), wireless networking, barcodes and RF barcode scanners. Product is identified with bar codes on the pallet and in some instances on each box, case or piece. Locations within each of our facilities are identified with a barcode for each row, shelf, slot, bin and rack position. The RF scanners are used to read the barcodes and transfer product information, quantities and location information directly into the WMS via wireless networking. During the receiving process, product barcodes are scanned and the system verifies correct items and quantities arrived at the warehouse. During the put away process, when an item is placed on a shelf, slot, bin or rack location the user scans the barcode on the unit and scans the barcode for the storage location. The WMS is updated showing what items are in inventory and where those items are being stored within the warehouse. When it’s time to pick an order, the WMS transmits the necessary information to the scanner. The scanner screen will display the order information including storage location, description, item code and quantity for each item to be picked. The barcode for each picked item is scanned as is the barcode of the storage location it was picked from. Scanning the item bar code and location barcode ensures that the picker is filling the order with the correct quantities of the correct item. The WMS determines the picking sequence of the items and knows the location of each item stored so orders can be picked according to customer policy, such as FIFO (First In – First Out). When the pick is complete, the system can generate a packing list containing the information on what was physically picked. Annual inventory counts and cycle counting time using RF scanners has made identifying and counting items a quicker and more effective process. 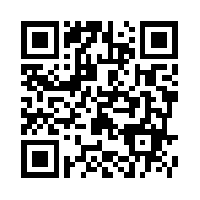 Counting involves scanning the barcode for each item and scanning the barcode location where product is stored. The process is quicker and more accurate than the use of paper reports. Using RF scanners for counting eliminates writing down product numbers and counts and then manually entering count information in computer. Mistakes can not be made because wrong item information was written down. The benefits Lansdale Warehouse has experienced since switching to RF scanning include improved accuracy and efficiency and improved real-time visibility to inventory. What is “Pick and Pack”? Pick and Pack services entail taking goods out of stock (picking) and packing them so they can be effectively shipped to the end customer. Lansdale Warehouse’s fulfillment team has been picking items for orders, packaging the items safely and securely, and promptly shipping to end customer since 1958. Order fulfillment options including breaking down pallets of cases for shipment of individual cases, picking individual items (pack or inner packs) from cases for order fulfillment as well as building new cartons, packs or pallets to meet customer requirements. We offer a range of services from inbound to outbound allowing customers to customize how they want to handle and add value to their products. Lansdale Warehouse’s extensive experience gives customers the solutions for handling, segregating items, repacking items for individual orders, creating barcodes, shipping labels and invoices. Our fulfillment services free up your time so you can focus on your core business. Third Party Logistics (3PL) is a service which allows companies to outsource all things associated with logistics including warehousing, transportation, pick-pack, compliance labeling, etc. Utilizing a 3PL provider allows customer to focus on other parts of their business. The 3PL provider offers all in one solutions and helping customers maximize profits, reduce wait times and improve customer service. Utilizing a 3PL provider eliminates the need to invest in warehouse space and staff. Lansdale Warehouse has 600,000 sq feet of storage capacity and trained logistic professionals experienced in inventory control and material handling. 3PL providers give companies the flexibility to scale space according to inventory needs. Companies can utilize more space and resources as needed. Lansdale Warehouse is flexible to customer’s seasonal volumes, providing space and staffing on an as needed basis. Best practices in logistics are known by 3PL providers. Lansdale Warehouse is continuously staying up to date in technology and trends as well as monitoring practices to eliminate inefficiencies. Our technologies, including radio frequency communications (RF), warehouse management systems (WMS), electronic data interchange (EDI) provide inventory management and visibility allowing our customers to focus on their core competencies. The outsourcing of logistic services ensures continuous improvement, helps maximize profit, reduce wait times, and improves customer service. Cycle Counting – What is it and what are the benefits? Physical inventories at the end of the year is a painful and exhausting process which disrupts daily operations. Counts performed annually often result in a buildup of errors not discovered until the end of the year resulting in significant adjustments. 100% physical counts require a significant amount of work that needs to be completed within a small window of time and usually involves bringing in temporary staff not familiar with the policies and procedures of the operation. Lansdale Warehouse has adopted daily cycle counting as an effective way to improve our operation and inventory accuracy. We’ve assigned dedicated and trained employees on the cycle counting process. We believe in continually validating the accuracy of inventory in our WMS system by regularly counting portions of our customer’s inventory on a daily or weekly basis depending on the activity of the customer. We have made cycle counting part of our daily routine, we count and count and count inventory. Cycle counting is the process of continually validating inventory accuracy by counting portions of inventory daily or weekly insuring that each item in inventory is counted within a set timeframe. Better customer service. Our customers depend on Lansdale Warehouse to make certain that inventory levels are accurate. Nothing erodes customer relationships quicker than customers who do not trust the inventory in our system. Increases inventory accuracy preventing adjustments and gives opportunities to diagnose discrepancies when they occur. Whether it be human error or finding additional training is needed. Traditional physical inventories assume that all items in stock are equal in value and importance. Traditional physical inventories do not take into account inventory turns. Lansdale Warehouse utilizes “ABC” grouping where items with a higher turnover are counted more frequently. Each company is different and counting is tailored to each customer’s specific situation. Cycle count teams makes counting part of their daily routine using barcode scanners that feed counts directly into WMS systems. Managers review results of cycle counts and find route cause of significant adjustments recorded. Inventory errors are tracked down and corrective action is taken to ensure mistakes do not happen in the future. Lansdale Warehouse is committed to 100% customer confidence in inventory accuracy. Cycle counting increases our ability to meet our goals in maintaining customer satisfaction.